Officer Damber Subba’s first shift Monday afternoon was patrolling familiar territory: Akron’s North Hill neighborhood. 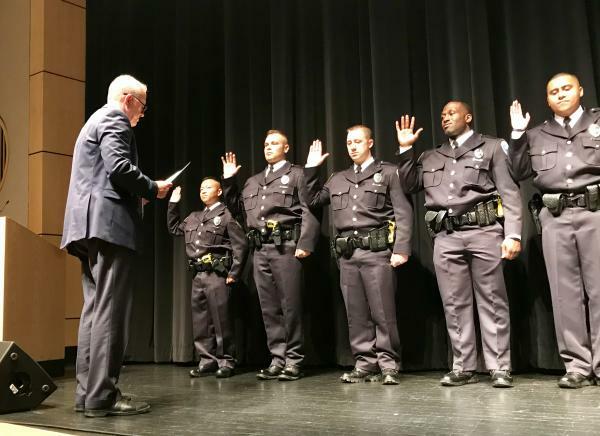 Here’s more on the first-ever refugee sworn into Akron’s police force. Like about 5,000 other people now living in the Akron area, Subba’s family fled from Bhutan, and he grew up in one of seven sprawling refugee camps not far from Nepal’s border with India. The roofs of the bamboo huts leaked, fires tore through the camps periodically, healthcare was hit-and-miss. But what bothered him the most, Subba says, was a sense that he didn’t belong. That changed when his family got word from the organization charged with resettling the world’s refugees: (International Organization for Migration) that they were heading to America. Subba says it was a dream. His family was among the first Bhutanese refugees to move to Akron in 2008. He remembers sitting in their apartment – looking up at a ceiling that didn’t leak, surrounded by walls that kept out the wind – happy. Like most of the new arrivals, he got a job at a manufacturing plant. The economy crashed and he was laid off. He trained and began work as an interpreter, eventually becoming one of a handful of certified Nepali-language medical interpreters in the country. Then came citizenship in 2014, a day he says is second in joy only to the birth of his daughter. But he kept thinking about the law, and about the gaps between his native community and his adopted community. He says it’s a problem of language, culture and experiences. Subba saw himself as a cultural bridge. He wanted to be a police officer. The problem, he thought, is that he barely tops five foot. He had an image of American’s police force as big, beefy guys. Akron police recruiters told him height didn’t matter as long as he could pass the physical and other tests for recruits. 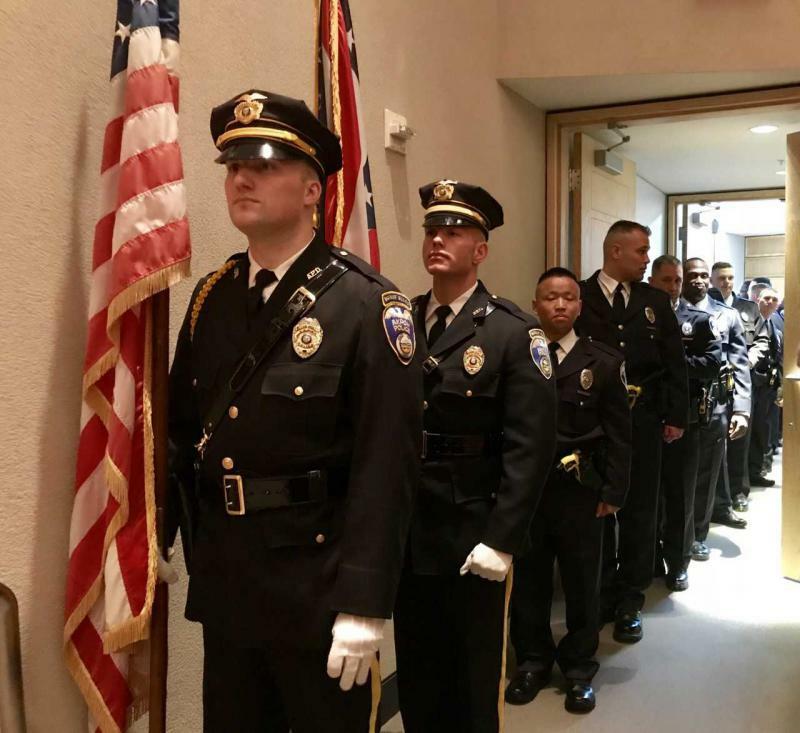 He could and did, completing the basic police training academy and then Akron’s own. Sgt. Daniel Engelhart, his training officer, was among those celebrating Friday night. He says Subba handled everything that could be thrown at him during training – with a smile. The week before the swearing in, Mayor Dan Horrigan and Charles Brown, the deputy mayor who heads Akron’s safety forces, visited all of the Akron Public Schools senior classes. Brown says the story of Damber Subba was already well-known when they got to North High School — about a half-dozen Nepali students that day asked about joining the force. Mayor Horrigan says he hopes it’s a great thing that happens repeatedly in Akron as the city’s safety forces grow to reflect the city they serve.